Shop and help others as your ticket helps so many charities. See list below of the charities who will benefit from this event. Shop for yourself, your family and friends and for your home on this great shopping day. 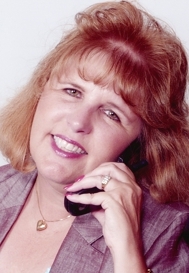 If you are looking for a professional real estate agent, I am just a phone call away. My past clients have been very satisfied with my service. Call Kristin Hamilton to get a Professional, Honest and Ethical, and Extremely Knowledgeable. Inland Empire: Riverside, Moreno Valley, Redlands, Grand Terrace, Loma Linda, Yucaipa, Highland, San Bernardino, Big Bear, Arrowhead, Colton, Rialto, Fontana, Rancho Cucamonga, Upland, Ontario, Montcair, Devore, Yucaipa, Chapman Heights, Beaumont, Banning, Calimesa and Cherry Valley. Thanks for the nice thought anyway. Have a great weekend in your Las Vegas wonderland. The Cabazon Outlet Mall extravaganza sounds like a fun event, loaded with great benefit opportunties, Kristen!